Our facility is 17,200 Sq ft and features a unique play environment for your four legged pal! We have 3 indoor parks which separate the dogs based on size and energy level to make your dogs experience even better! We have 5 spacious outdoor parks for your dog to enjoy which include rock, sand and turf/dirt. In the outdoor parks your dog can enjoy our activity climbers, relaxing on our sunbathing mats, cooling off in our pools and relax under our gazebo. We have 29 cameras throughout our facility both inside and outside as well as in the boarding areas for basic monitoring. Located in both the large and small dog parks we have two air exchange/purifiers which help aid in keeping the air fresh in our parks. These units have their filters changed weekly to ensure the best possible results, they are also serviced quarterly to ensure they are running perfectly. We offer Vip Suites for your dog while they are with us. On busy weekends we cannot guarantee a room as they are reserved for our clients who require medication, are a XL breed dog, are older, or those escape artists who have mastered escaping crates! 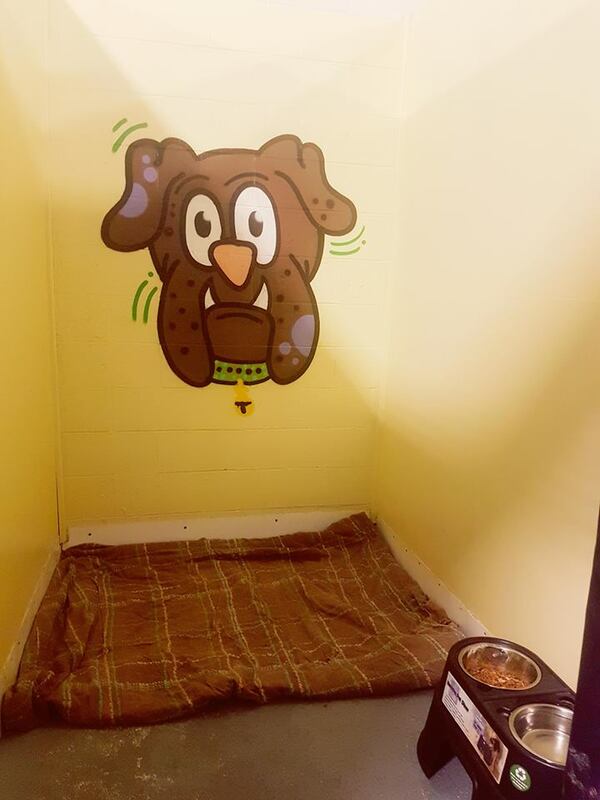 We have a variety of different sizes of cozy kennels available for your dog's stay, we will always make sure your dog's kennel is appropriate for their size. We have 16 spacious 4 tier condo's with a scratch post/climber in each one for your cat to enjoy while they stay with us. The cat's also have roaming time out of their condos' in the window area where they can explore and climb on the wide variety of cat trees and sunbathe while watching the traffic drive by. We offer a wide variety of toys, treats supplements and we even sell Acana, Horizon Pulsar, Canisource (dehydrated Raw), and Perfectly Raw (frozen raw). At Playful Paws we always have your dog's best interest in mind and our office staff is very knowledgable in all areas of pet products and can help you at anytime with anything you may have questions about!